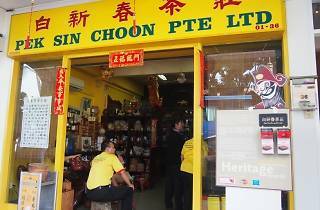 As one of Singapore’s oldest tea merchants, Pek Sin Choon has survived multiple redevelopments, relocations and even a war since its establishment in 1925. 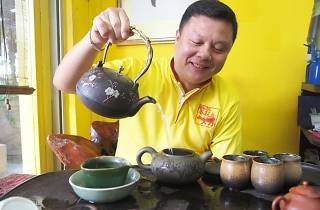 The brand now supplies its tea leaves to almost 80 percent of all bak kut teh shops in Singapore as well as some Chinese restaurants, most notably Din Tai Fung. 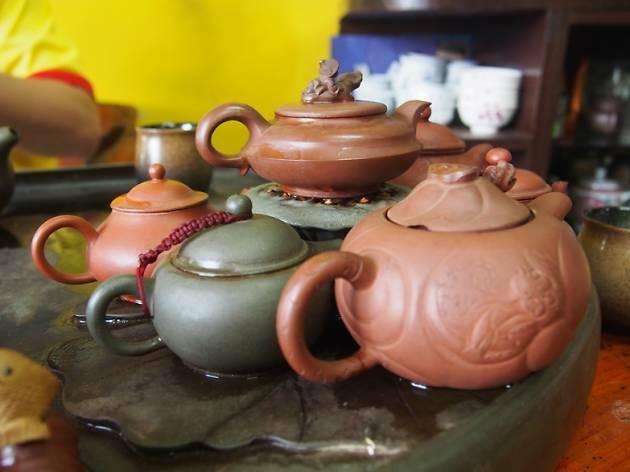 Helmed by fourth-generation owner Kenry Peh, the tea shop maintains many traditional practices. 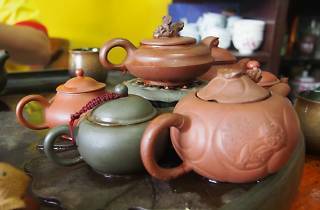 Every day, up to 120 kilograms of tea leaves are blended and roasted with a woven basket and made-in-Singapore oven, the former of which is as old as the brand itself. 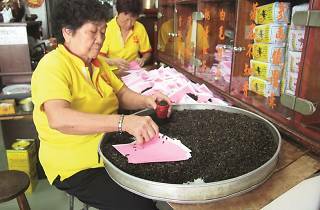 The women of the family will then perch around a table, wrapping tea leaves in pink paper used by Chinese medical halls – one pack at a time, like how it was done in the past. 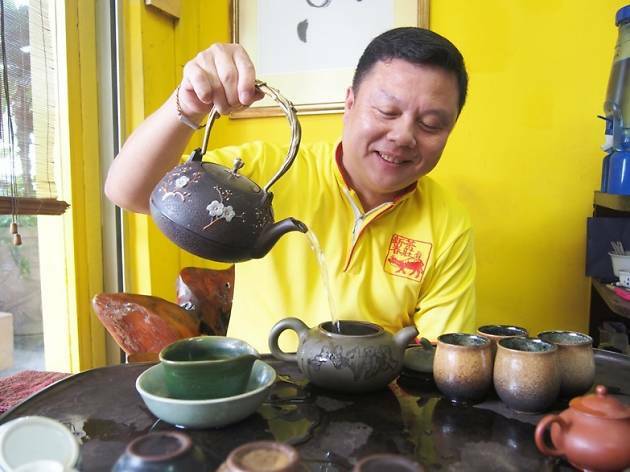 Sometimes, if you’re lucky (and curious), Peh, who’s quite the storyteller, will be around to impart his knowledge about the local tea culture while you sip on freshly brewed tea. You’d think that only the older generation will stop by, but the 47-year-old says he’s seeing more young folks pick up the habit after learning about the health benefits of tea. 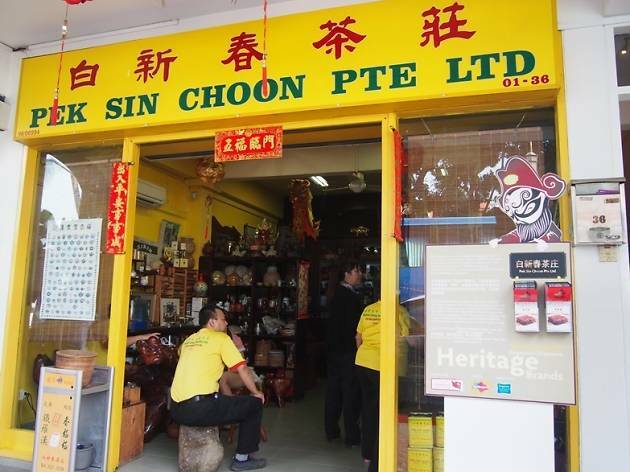 The most famous of Pek Sin Choon’s offerings is Unknown Fragrance ($52.50/tin), a top-secret blend of oolong tea varietals. 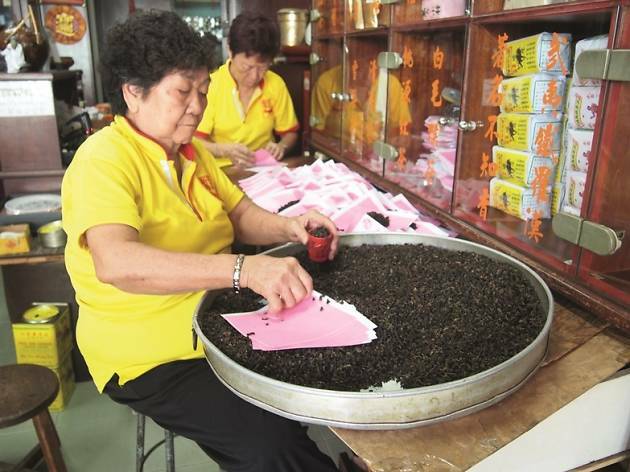 Quality is of utmost importance to the store; all its tea comprises full leaves, even the affordable White Fur Monkey tea ($8/tin), which is also used in religious rituals.